OEM XYZ Stage for Laser Cutting | Reliant Systems, Inc. This three axes stage assembly was designed for integration into a laser cutting machine that required a large offset between the mounting point and the laser head. To better support the off-axis load the bottom stage is a wide version of our LS series stage. The Y and Z axes are custom. Rather than use a standard stage plus a long bracket to get the necessary extension, the Y axis was designed with a long carriage having a tall cross section for increased strength and rigidity. Dual sets of truck and rail linear guides are incorporated such that the separation between the front and back bearing trucks increases as the stage extends, maximizing stiffness. 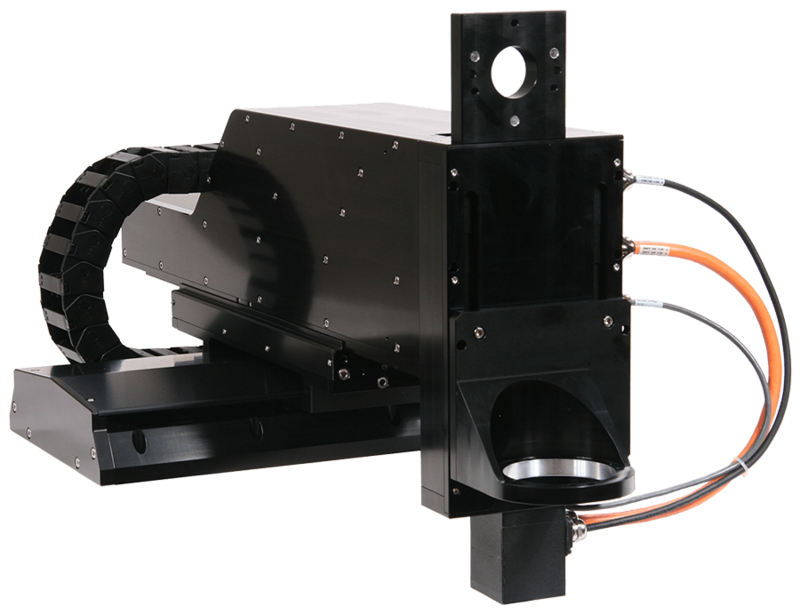 To simplify integration, mounts for the laser delivery optics and the scan head are incorporated into the assembly. Travel is 165mm (X) x 165mm (Y) x 100mm (Z). 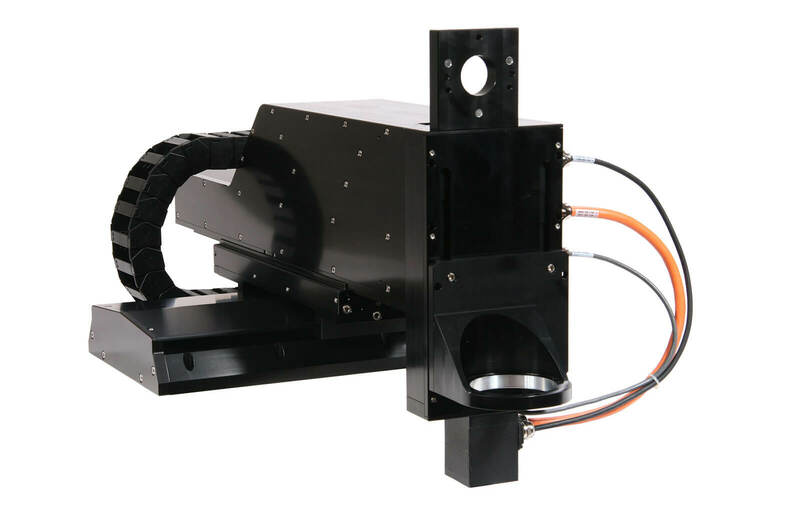 The X and Y axes are driven with 10mm precision ground ball screws and the Z axis is driven with a 5mm ball screw, all connected to brushless servo motors with integrated 10,000 count per revolution encoders. Positioning resolution is 1.0µm (X,Y) and 0.5µm (Z).